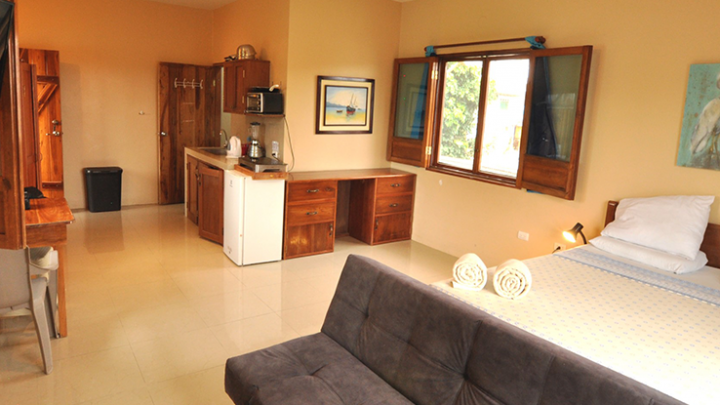 Our Studio XL is a Complete One-room Mini-Apartment for up to 5 people. This Spacious 36 m² (375 sq. 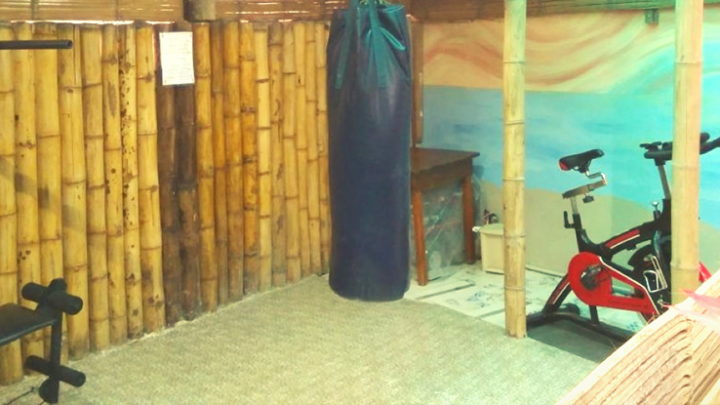 Our Mini-Gym has everything you need: Yoga-mats, Stationary Bike, Weights, All-in-one, Boxing-bag, Fans and more. Enjoy working out with a nice view of our tropical garden. 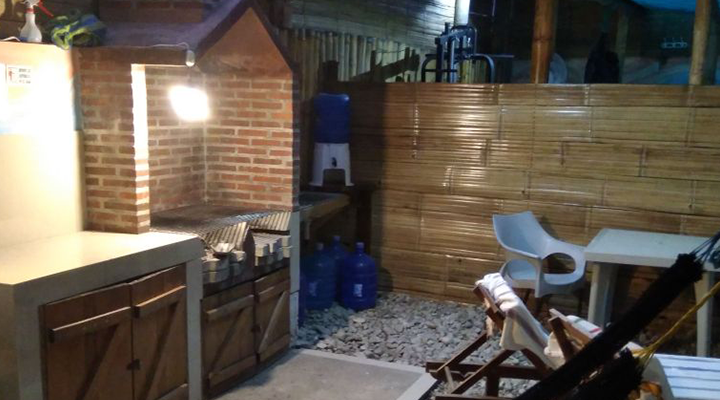 Our Big BBQ is available for you to Grill Fish, Shrimp, Meats, Chicken or Vegetables. We have All the Necessary Utensils too, let us know if you'd like some help with firing it up! Bring your Pets & Children! We're more than Happy to receive your entire Family: including your Children, Grand-Children & Bring your Pets, too! Please be aware we do expect you to watch over them, make sure they're always by your side and don't do damages to the Rooms & Grounds, and are Clean and that the Noise is kept to a minimum, especially at night. 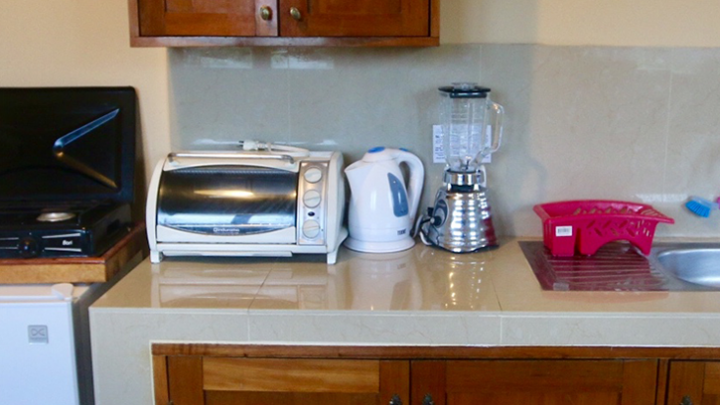 Our Studios, Family Studios and the Beach Villas all come with a fully equipped Kitchenette! You will have everything you need to cook any meal, make juice or cocktails or just to heat up your left-overs.